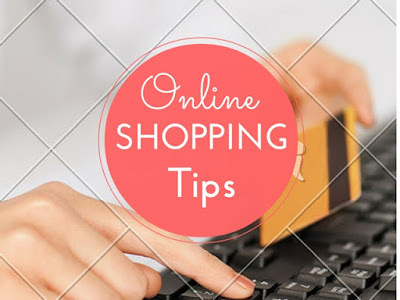 It's been a long time since I have been relying on online shopping to purchase my makeup, clothes, accessories and even shoes and so far the experience has been pleasant. 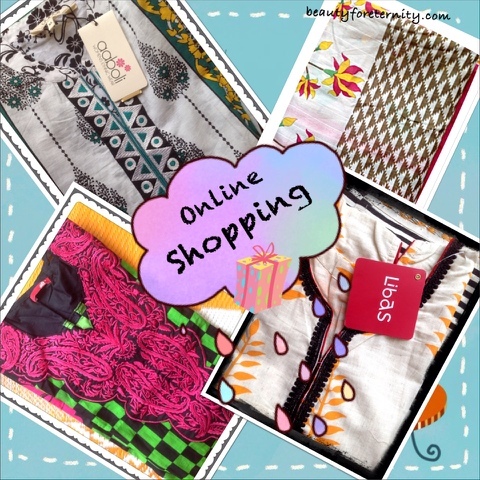 Buying clothes online is little bit more tricky than it is with other stuff because what looks good to your eyes might not look equally good on your body. A designer dress is of no worth if it does not fit you well. No matter how hefty a price have you paid for it....it won't flatter you if it's a mis-fit. Then, how can you shop your clothes online ? Well... you definitely can if you follow these quick tips which make a huge difference to your overall online clothing shopping experience. 1. Know your measurements first. Measure again even if you already know your size because sometimes you might not have realised but in actual gained or lost a few inches or may be centimetres. So it's always good to get the measurements again. 2. Always ask someone to take the measurements for you because that way you will get the correct measurement. It's even better if you could get an experienced tailor to do the job. 3. Make a note of the brands that fit you well because if size M of a certain brand fits you well , then same M might be loose or tight if you change the brand. 4. Don't forget to check the size chart for each piece of clothing because even if you know your exact size, there are differences in the size chart of different brands. For example, if brand A offers waist size 28" for size 's' then brand B might offer size 26" for same size 's'. 6. Check how many items you are actually getting when you buy something. For example if you see a picture of a model wearing a nice dress with a crystal studded belt and you get tempted to buy that dress because you thought that the belt would come with the dress then you might be wrong because that could be just a way to make that dress look more appealing or a style tip and you could end up getting just the dress and not the belt which will make you feel bad. So always check the description/details properly before making a purchase and note which of the showcased items you will be getting along with the main product. 7. Check the details about fabric/ material before buying . 100% cotton will have less elasticity and Lycra ones will be more elastic and smaller size will fit you well. 8. If you really like something but don't have your actual size in that then go for a larger size because you can always ask your tailor to alter the same for you. 9. Check the amount of fabric you are getting especially while buying dress materials or saree blouse because sometimes the design is so good that we almost forget to check the amount of fabric and other details and end up buying something useless. 10. Know return policy. No matter how carefully you buy something, there may be times when you are not satisfied with your purchase and need to return the same. So know the return policy of the company like if they pick-up the product or you have to self-ship the same to them. Also, how many days you are given to return a product. Along with these tips, it's better to retain the packaging and keep the tags and labels intact which will help you to return the products easily. 11. Don't buy too many in first go regardless of the tempting discounts and offers. Start with a small amount and experience the servicing and product quality before spending a bigger amount. 12. Read the reviews of other customers. It's good to learn from the mistakes but it's even better if you learn from the mistakes made by others ;) What I am trying to say is that you must go through the reviews of other customers and see what kind of feedback they have given for a particular product/brand or entire company. It will save you from repeating the mistakes other have already made and you can steer clear from the products which get more negative feedback.